The history of the people of Aihrde begins in the Arnhul Mountains, upon Mount Austerien, where the All Father cast the dwarves, giants, and men to form. In the 3rd Rin of the World the dwarves spread far and wide, from Arnhul they moved into the east until they came to the shores of the Inner Sea. There they built mighty kingdoms and a bridge to bind the two lands south of the Inner Sea as one. This they called the Ursal Bridge. In after ages, when the dwarven realms but one, were laid to ruin, men rose to power. And their greatest Kingdoms stood astride the Ursal Bridge and these were the Aenochians and Ethrum. And they warred with one the other over these lands, the Lands of Ursal. 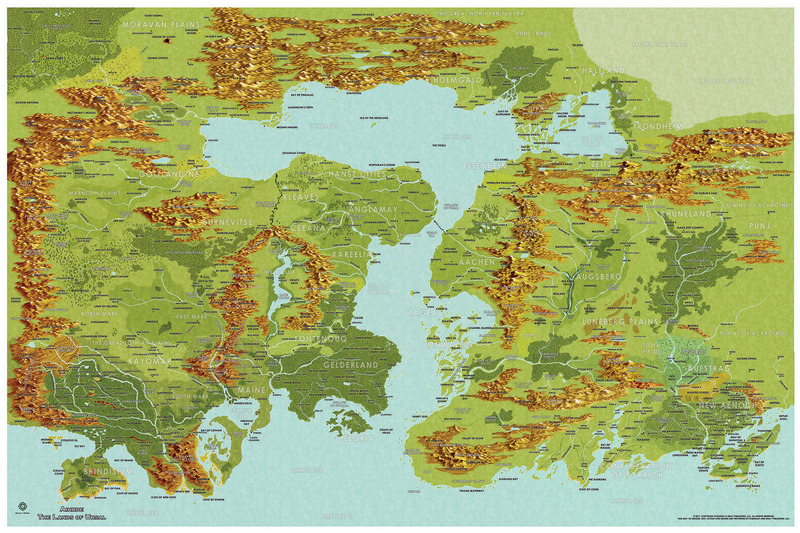 The Lands of Ursal comprise the heart of the world. Here is the power of god concentrated, the gates to Hell set up for the bold, the Kingdoms of men, dwarf and elf come together. A land of giants, where dragons prowel. There is a reason Ursal is called the Cradle of the World.